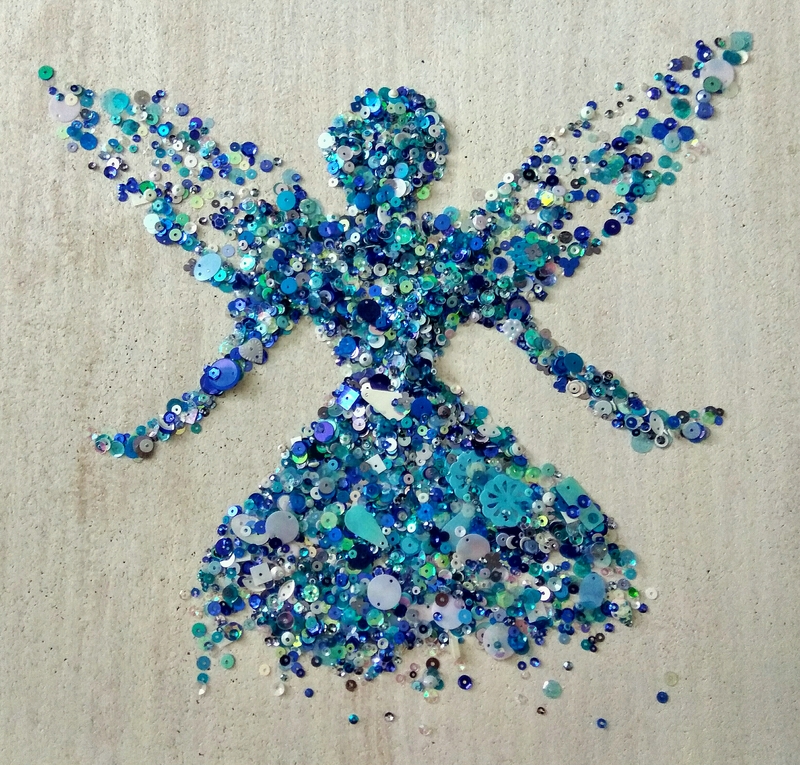 I used an assorted selection of sequins with various shades of blues, turquoise and iridescent colours for today’s fairy. I arranged them on my white painted corkboard (to add a bit of texture in the background). I liked the effect at the bottom of her dress.